Dr. Sitter is the team physician for Dulles, Elkins, Kempner and Travis high schools in Fort Bend ISD and Stafford High School in Stafford ISD. 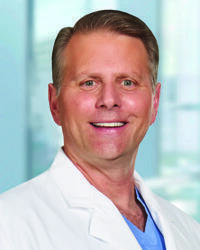 He served as the medical director for Justin Sports Medicine during the Houston Livestock Show and Rodeo since 2005. Dr. Sitter completed his residency in orthopedic surgery at UT Health Science Center in Houston and his fellowship in sports medicine and reconstructive surgery at the University of Oklahoma.